We are here to help if you are trying to find an auto accident chiropractor in Atlanta, Georgia. Our company, First Choice Accident & Injury Care, has been exceeding the expectations of patients in Fulton and DeKalb counties for years, and we have helped thousands of people regain their health. Everyone on our team has been carefully selected for their abilities and their sincere passion for the well-being of the patients that we serve. The “Big Peach” is the capital of the state of Georgia, and many people would say that it is also the most important city in the American Southeast. It is a world-class municipality on every level, with great colleges like Georgia Tech and Emory University, a vibrant economy, professional sports teams, and abundant cultural opportunities. 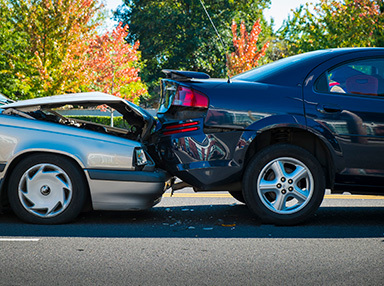 We can provide auto accident treatments all over Atlanta, from Buckhead to Druid Hills to Little Five Points to Virginia-Highland. If you have been injured in a slip and fall incident, an auto accident, or in your workplace, you need immediate, multi-layered assistance. First and foremost, a complete physical examination is necessary, and the appropriate treatment regimen should be implemented once a diagnosis has been made. Our Atlanta auto injury chiropractors will provide world class treatment, and we will not ask you to pay for anything out of pocket. We have experience dealing with all major insurers, including Allstate, Geico, Nationwide, and MetLife, just to name a handful. The insurance company that is representing the negligent party that caused your injury will be billed by our practice, so you won’t have to lift a finger on that level. Plus, anyone that is injured in an accident should have the appropriate legal representation. Over the years that we have been assisting injured parties, we have identified some of the most effective personal injury lawyers in the state of Georgia. We can make sure that you have top-notch legal counsel to negotiate with the opposing insurance company on your behalf. Our Atlanta auto accident chiropractors are highly skilled practitioners, and our attorneys are among the best in the business. Plus, to top it all off, you will receive polite, communicative service on every level from the first moment that you reach out to us. If you are ready to do just that, you can click this link to reach our contact page, and our phone number is 404-455-2720.